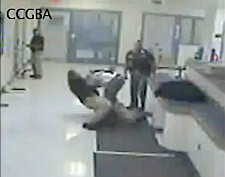 A jailer at Cherokee County Detention Center slams a man’s head into the floor during an incident on May 17, 2011. You might think it’s a well-established principle of modern law. Jailers can’t beat prisoners. Yet when jailers exert excessive force in Oklahoma, it can be difficult for the victim to recover damages. The Oklahoma Supreme Court this week stood up for the rights of citizens not to be abused in jail. The decision handed down this week clarified that detainees have a constitutional right to be protected from cruel and unusual punishment. That means those injured by jailers’ excessive force in Oklahoma may sue government agencies to recover medical costs resulting from injuries, despite a state law that attempts to limit claims against government agencies. The 1978 state law otherwise limits liability claims against most local government entities to $125,000. Individual claims against Tulsa, Oklahoma City and state agencies under the Oklahoma Governmental Tort Claims Act are limited to $175,000. 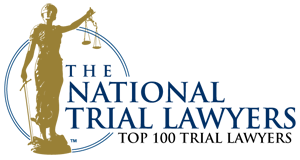 The act caps total liability at $1 million if more than one person is injured in an accident. What’s more, the law attempts to make jailers immune from excessive force claims. Not any more. The excessive force incident the Supreme Court reviewed involved jailers at the Cherokee County Detention Center. On May 17, 2011, a jailer slammed a detainee’s head against a counter, then put the man in a headlock and dropped to the floor, slamming the man’s head against the floor (watch the video below). Other jailers joined in the attack against the restrained detainee, moving the assault into a shower area beyond the view of video cameras. The man was then locked in a cell for two days before jailers took him to a Tulsa hospital for treatment. There, doctors fused together several discs in his back to repair injuries from the assault. A legal battle ensued. Several legal issues came into dispute. The man filed a civil rights action in federal court. He also filed claims under the Oklahoma Governmental Tort Claims Act. That’s the law that attempts to immunize jails, prisons and correctional facilities from liability claims. A federal court dismissed the man’s claim under the tort act, but let him amend his lawsuit to assert a constitutional protection against cruel and unusual punishment under both the Oklahoma Constitution and the U.S. Constitution. Writing for the majority, Justice Yvonne Kauger said, “This is not new ground.” A 2002 case – Washington v Barry – established that inmates could not seek damages under the tort act (OGTCA) but that limitation did not vanquish their constitutional right to be protected from cruel or unusual punishment. Although the 2002 case “foreshadowed” this week’s decision, the court referred to the decision as a “new rule.” In the 2002 case, the prisoner did not convince the court that cruel or unusual punishment had occurred, but the court did recognize that detainees may have cause to sue public agencies despite the limitations of the OGTCA. In answering a second question of law, the court said yes, its new rule applies retroactively – specifically to the incidents of May 17, 2011. The court said the new interpretation after the fact would not be unfair to those “offending officials” in retroactively establishing a balance that allows law enforcement officials to restrain detainees as needed without using excessive force that can cause permanent damage. A third question the court settled further tilted the scales in favor of citizen protection against excessive government actions. A common-law principle known as the Master-Servant rule, or respondeat superior (Latin: “let the master answer”) applies to Oklahoma governmental agencies. Those agencies may be held liable for excessive force their employees exert in the course of their employement, the court ruled. Recovering damages for excessive force in Oklahoma is still no easy matter. The Tahlequah incident, unlike some excessive force cases, involved video and medical evidence of injuries. Appellate courts are often crowded with inmate cases, and pubic sentiment often grants law enforcement officials considerable latitude. Yet after a decade of international debate about the propriety of torture and excessive force, Oklahoma’s highest court has stood with the founders of our state and our nation, saying we the people still have a right to be protected against cruel or unusual punishment. 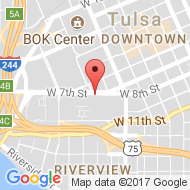 If you believe you have been the victim of excessive force while in custody in an Oklahoma facility, contact a Tulsa jail injury attorney today to find out what are your rights. For a free, confidential consultation with a Tulsa Oklahoma criminal defense attorney, call the Wirth Law Office at (918) 879-1681 (or toll free at (888) Wirth-Law) or submit the question form at the top right of this page.